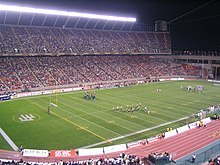 This article is about the city in Canada. 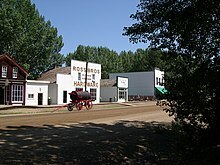 For other uses, see Edmonton (disambiguation). 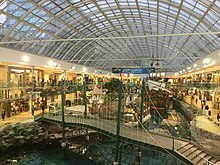 Edmonton (/ˈɛdməntən/ ( listen); Cree: ᐊᒥᐢᑲᐧᒋᐊᐧᐢᑲᐦᐃᑲᐣ; Blackfoot: Omahkoyis) is the capital city of the Canadian province of Alberta. 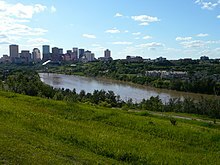 Edmonton is on the North Saskatchewan River and is the centre of the Edmonton Metropolitan Region, which is surrounded by Alberta's central region. 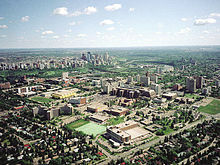 The city anchors the north end of what Statistics Canada defines as the "Calgary–Edmonton Corridor". 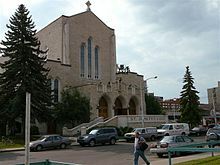 In the 2016 Census of Population conducted by Statistics Canada, the City of Edmonton recorded a population of 932,546 living in 360,828 of its 387,950 total private dwellings, a change of 14.8% from its 2011 population of 812,201. With a land area of 685.25 km2 (264.58 sq mi), it had a population density of 1,360.8841,360.9/km2 (3,524.6743,524.7/sq mi) in 2016. 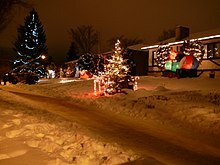 In the 2011 Census, the City of Edmonton had a population of 812,201 living in 324,756 of its 348,672 total dwellings, a change of 11.2% from its 2006 population of 730,372. 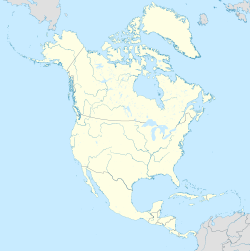 With a land area of 684.37 km2 (264.24 sq mi), it had a population density of 1,186.7861,186.8/km2 (3,073.7633,073.8/sq mi) in 2011. The census also reported that 50.2 percent of the population (407,325) was female while 49.8 percent (404,875) was male. The average age of the city's population was 36.0 years while there was an average 2.5 people per household.